The Archbishop’s Annual Appeal is a yearly event that reaches out to all parishes in the Archdiocese of Atlanta to help fund the many ministries of our diocese. Some of these ministries include seminarians education, priest support and retirement, college campus ministry, under-resourced school support and Catholic charities to name a few. Almost half of the monies collected go towards helping fund our seminarians’ and deacons’ education, as well as the continuing education and retirement needs of our priests. Although this annual event is called an appeal, it is in reality an assessment that the Archdiocese puts on each parish. 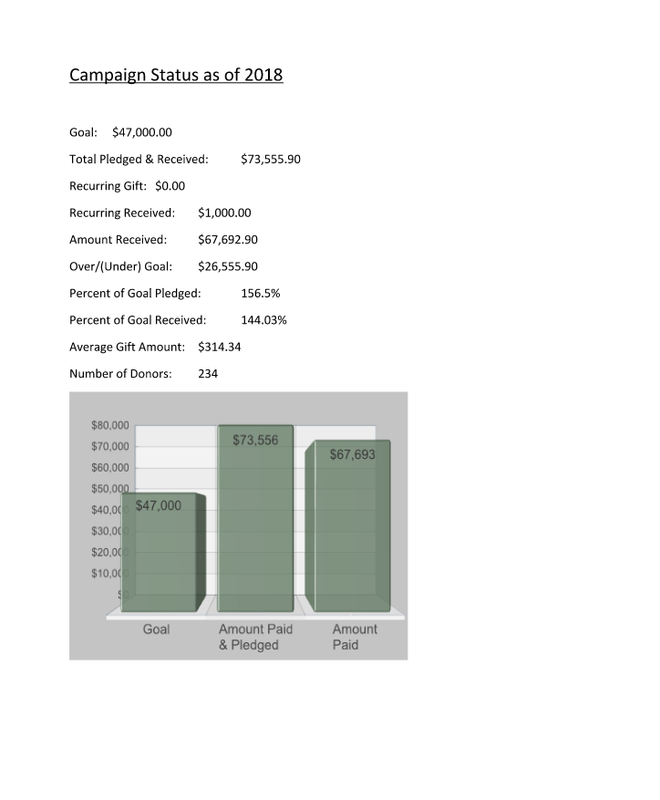 Each parish is given a goal that is determined by the amount of money collected in the approximate 12 months preceding the annual pledging and it is mandatory for each parish to come up with this amount. Making our goal is essential! If our goal is not met, the shortfall that results must be made up from the weekly general collections. Conversely, if we collect more than the goal set for us by the Archdiocese, then all of the overage comes back to us to spend as needed in our parish. Overages for our parish are not considered when determining the goal for the following year. Therefore, if a parishioner wishes to give an extra gift to the parish, the Archbishops Annual Appeal is a great way to make sure that the money given finds its way back to our parish. Archbishop Wilton Gregory announces the theme of the 2019 Archbishop’s Annual Appeal: “Go, Therefore And Make Disciples”. For more information about the Archbishop’s Annual Appeal, contact the parish office or the parish coordinator, Gary Wallpe at 770-265-3291.